When you place your life or the life of a loved one into healthcare professionals’ hands, you have every right to feel safe. You trust that they will follow their oath to “do no harm” and will provide the highest quality medical care possible. Unfortunately, when a doctor or nurse makes a mistake, the results can be disastrous for patients – even deadly. If you or someone you love is the victim of medical malpractice, whether you, are suffering due to a delayed or wrong diagnosis or surgical error or received incorrect medication, you deserve to be compensated for your injuries. 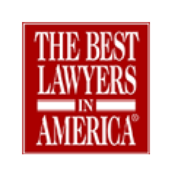 At The Law Offices of Andres & Berger, P.C., New Jersey’s award-winning medical malpractice law firm, we will fight for maximum compensation for you and your family. 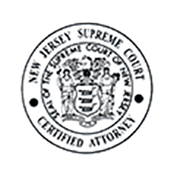 We have years of experience representing seriously injured victims and surviving family members in Cherry Hill, Voorhees, Marlton and all surrounding South Jersey communities. The statistics regarding preventable medical errors in hospitals in the United States are staggering. In fact, medical mistakes are the third leading cause of death in this country, behind heart disease and cancer. The Journal of Patient Safety released a study in mid-2014 stating that more than 440,000 people die from preventable medical mistakes made in hospitals every year in the US. The same report revealed tens of thousands more people suffer wrongful deaths every year as a result of preventable errors made in other healthcare facilities. Contact the skilled NJ medical malpractice lawyers at The Law Offices of Andres & Berger, P.C. 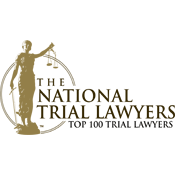 for a free consultation about your case if you believe you or a family member has suffered injuries due to a medical error in Camden, Burlington or Gloucester counties or anywhere else in New Jersey. Doctor Negligence: Physicians take an oath to “do no harm.” If mistakes are made during diagnosis, treatment or follow-up care that causes injury to a patient, it may be considered medical malpractice. Anesthesia Errors: Mistakes made during procedures involving endotracheal intubation, epidural anesthesia, and local anesthesia may result in brain damage or other injuries including paralysis, stroke, nerve damage, persistent vegetative state, or death. Surgical Errors: Operating on the wrong body part or even the wrong patient should “never” occur but unfortunately it does with often tragic results. Injuring a nerve during surgery, improper administration of anesthesia or leaving a piece of surgical equipment inside the patient, may all lead to injury or death. Misdiagnosis or Delayed Diagnosis of Cancer: Failure to diagnosis cancer at the earliest stages leads to delayed treatment and serious complications or even death. Medication Errors: When a patient is prescribed the wrong medication or a pharmacy makes a medication error, adverse side effects can occur. Additionally, if a patient receives the wrong dosage of medication – too much or not enough –serious injuries can result or even death. Blood Transfusions: Red blood cell transfusions are commonplace in US hospitals. However, a National Institutes of Health report revealed almost 60 percent of blood transfusions were “inappropriate procedures” not benefitting the patient or even causing complications, infections or mortality. Birth Injuries: Failure to identify high-risk factors in expectant mothers during prenatal care or identification of a number of birth defects and abnormal fetal conditions including Erb’s palsy and shoulder dystocia. These can result in significant injury to the mother and/or the unborn child. Obstetrical Malpractice and Fetal Monitoring: Congenital conditions such as Down’s syndrome, anencephaly, hydrocephaly, holoprosencephaly and spina bifida can be identified prior to birth so as to allow a mother a choice regarding the pregnancy. Other abnormal conditions, such as placenta previa, placental abruption, intrauterine growth retardation and macrosomia, need to be identified so that they can be managed to lessen the risk of injury to the child. Infections: According to the Centers for Disease Control and Prevention (CDC), one in every 25 patients gets an infection while in the hospital. Misread Diagnostic Tests: When x-rays, CAT scans, MRIs, PAP smears, and other diagnostic tests are either not prescribed, performed too late or misinterpreted by physicians; conditions go undetected and untreated. Failure to Diagnose Cardiovascular Disease: Untimely performance of an EKG test, stress testing, echocardiogram, cardiac imaging studies, angiography, a CT heart scan, heart magnetic resonance imaging (MRI), positive emission tomography scan (PET scan), and other diagnostic tests may lead to a heart attack or cerebrovascular stroke. Hospital Negligence: Understaffing, poor training, failure to provide treatment in a reasonable time, lack of cleanliness or failure to monitor or stabilize a patient’s condition contribute to adverse outcomes for patients. If you, your new baby, or any family member suffered injury or death as a result of medical malpractice: surgical error, medication error, birth injury, failure to diagnose cancer, or any other medical mistake, contact a NJ medical malpractice lawyer at The Law Offices of Andres & Berger, P.C.. We have successfully represented families throughout South Jersey in Camden and Burlington counties, including Maple Shade, Medford, Washington Township and Haddonfield, New Jersey. Visit our verdicts page to learn more about the millions of dollars we’ve fought for and won on behalf of clients who suffered from anesthesia mistakes, surgical errors, misdiagnosed conditions and more. 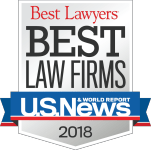 The Law Offices of Andres & Berger, P.C., are aware of the health care crisis in the U.S. that leads to understaffing, overwork, and communication failures in today’s medical environments. Insurance companies can be part of the problem, refusing to pay for necessary diagnostic tests, drugs, or treatment. Further, insurance carriers want to settle for as little as possible, hoping you will accept their offer and go away quietly. However, when you’ve been severely injured due to a doctor’s negligence, you deserve more than hush money. That’s why we work with the most highly qualified experts, including board certified physicians, orthopedic surgeons, pain management specialists, and mental health professionals to fully document every aspect of your case. We exhaustively interview all parties involved and examine all evidence. While we work diligently to negotiate a generous settlement, we prepare all medical malpractice cases for trial. 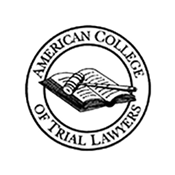 Insurance companies know which law firms are willing to fight – all the way to court, when necessary – on behalf of clients injured by medical malpractice errors. The Law Offices of Andres & Berger, P.C. 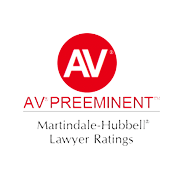 are well-known by all insurance carriers; we won’t hesitate to take a case to trial if an agreeable settlement isn’t reached. Because of this tenacity, experience and reputation, we are often able to secure significant out-of-court settlements on behalf of our clients. 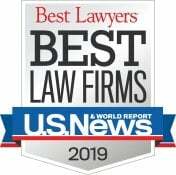 The award-winning lawyers at The Law Offices of Andres & Berger, P.C. are passionate about making certain their clients receive the highest quality legal representation available; we will do everything possible when it comes to investigating a medical malpractice case and achieving a positive result. Contact us for a free consultation if you believe you or your loved one has suffered as a result of negligence of a healthcare professional or facility. Your consultation is completely confidential. If we do take your case, rest assured we will work tirelessly on your behalf, holding the responsible parties liable for your injuries and winning maximum compensation for you, an innocent victim. To discuss your suspected medical malpractice injury or tragic loss of a family member, contact a New Jersey medical malpractice lawyer at The Law Offices of Andres & Berger, P.C., located in Haddonfield NJ, for a free consultation.